It's been a while, but Disturbing Headline of the Day is back with a vengeance. GLOBAL WARMING BREEDS SUPER SHARKS. Apparently the warmth of the water is making sharks go insane and mate with anything that swims by, creating hybrid species of super sharks. This is real life. I repeat: this is REAL life. 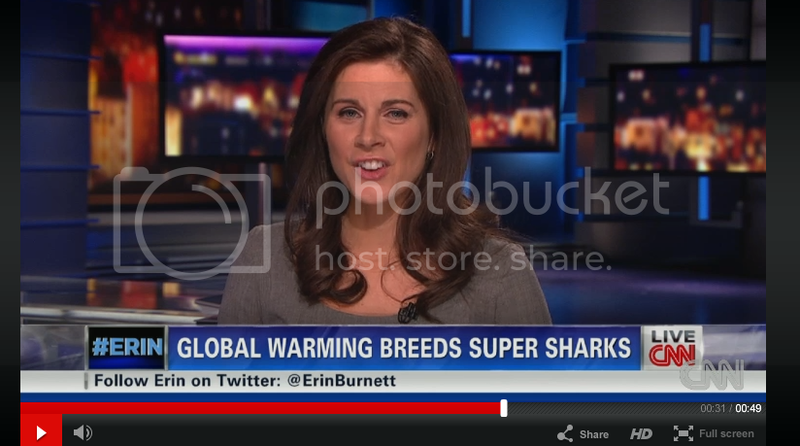 1) The news anchor refers to this period of time as "Shark Spring Break," which is just quality imagery all around. 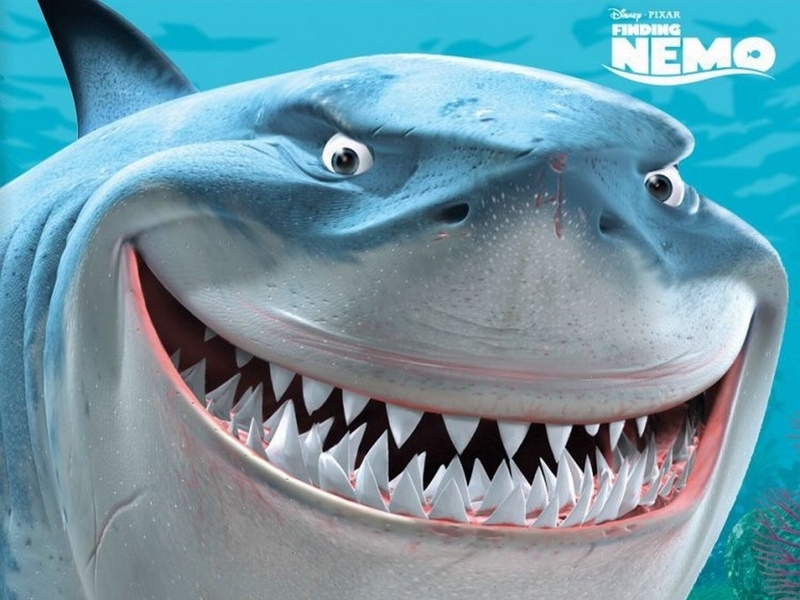 Does anyone else just picture Bruce from Finding Nemo wearing a lei and a hawaiian shirt, drinking a strawberry daiquiri and high-fiving a hammerhead whilst the lady sharks swim by and wink at them? 2) Super sharks? Really? Do we really need to add any other frightening characteristics to the resume of sharks, let alone have something called SUPER sharks just waltzing around the ocean? (Can sharks waltz? Let's be honest, super sharks can probably do anything.) I don't want to be around when we encounter one. What if the super sharks, due to their highly evolved brain capacity, are able to figure out how to survive on land and they form a gang of super sharks who try to take over the world? What if they wear bandanas and have gold teeth? Did anyone think about that? I think we'd all be regretting Shark Week right about then. 3) Speaking of Shark Week, does this mean it can't go on? I mean, if the super sharks take over the world, I'm pretty sure they'd find it offensive. Actually, we'd probably be their prisoners anyway, so it might not even matter at that point. Maybe we wouldn't even want Shark Week. And in what kind of society do Americans not want a Shark Week? One that has gone to hell due to super sharks, that's what. Of course, there's always the chance that super sharks will just stick to the rivers and the lakes that they're used to (anyone? ), and Shark Week will just have the privilege of introducing a new species of hybrid sharks to put people in near-death experiences with. "Alarming." Right there. They actually use the word "alarming," which indicates that we should be ALARMED. Why should we be alarmed, CNN? Are the super sharks indeed going to take over the world? Will the underwater ecosystem cease to exist? Will they just keep mating constantly until we have starfish-sharks hobbling around? Will the starfish-sharks be dangerous? THESE ARE QUESTIONS I NEED ANSWERS TO. Does this slightly scare anyone else? Older PostThe Mustangs are Hot!